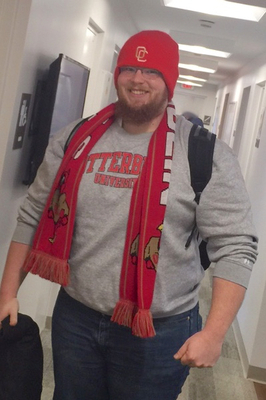 Allan showing his school spirit on a snowy day. Boose, Annette, "Exercise Science & Health Promotion 30" (2016). All Health and Sport Sciences Images. 223.